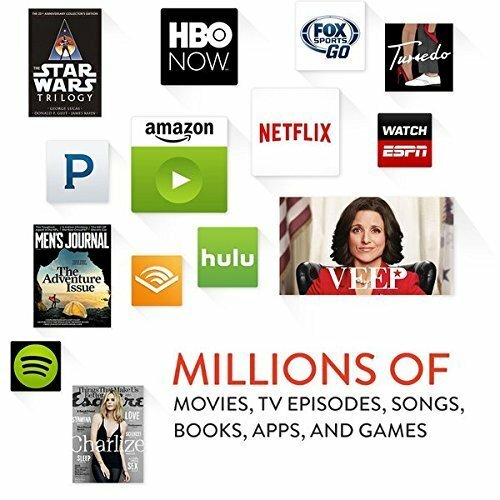 Amazon Fire HD 10 is a modest cellphone released a few years ago, packing a 5 mega-pixels back side camera, a 1500 MHz processing unit and a really big 10.1 inches multi touch display. This device is powered by a fast 1.5 gigahertz CPU, bundled in the MediaTek system chip and 1 GB of RAM memory. This cellphone counts with an amazing 32 GB internal memory and an SD memory card expansion slot, which allows you to install hundreds of applications without having to worry about filling it. This phone feels much lighter than what one would think about a phone like this. This cellphone is offerred in two different color options, black and white. This phone is very slim and practical, with a thickness of just 0.3". This phone is a very compact phone, considering it packs a 10.1" screen and it is only 10.31" long. 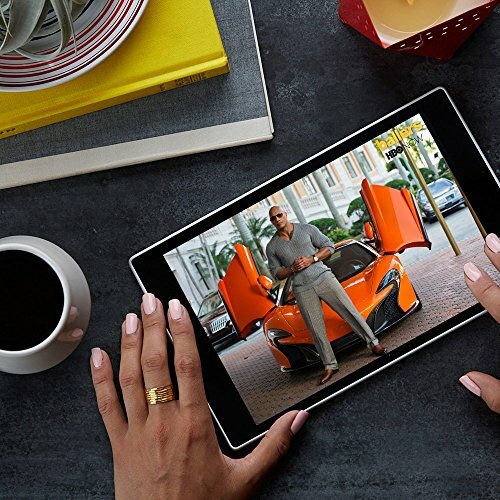 The Amazon Fire HD 10 includes an average 10.1 inches screen with a 800 x 1280 resolution, making everything look quite good. 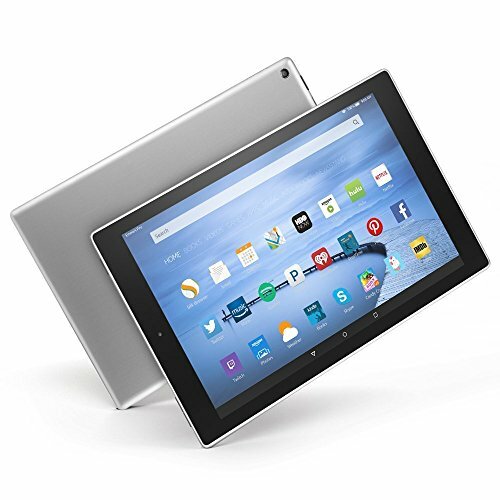 This screen uses IPS LCD capacitive technology, and allows multi-touch gestures. This cellphone doesn't have a sim card, because it doesn't work with GSM services. 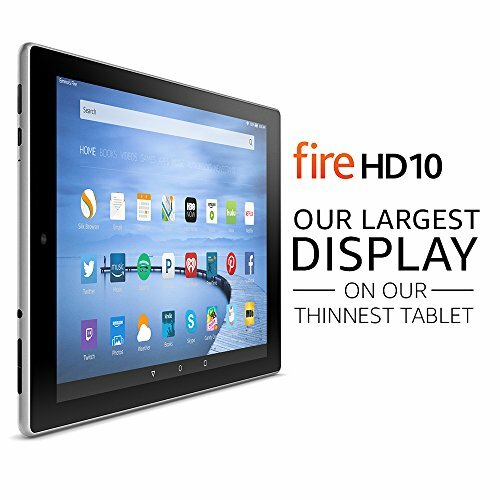 The Amazon Fire HD 10 only features a 5 megapixels back facing camera. It is capable of shooting videos up to 1920x1080 (Full HD). In addition, the camera has geo tagging. This phone also features Bluetooth (provides communication with other bluetooth cellphones and accessories), and Accelerometer. This phone is really overpriced considering it is priced 230 dollars, and other similar phones are sold for much less than that. This phone is sold with 5W power adapter, USB 2.0 cable and Quick Start Guide.